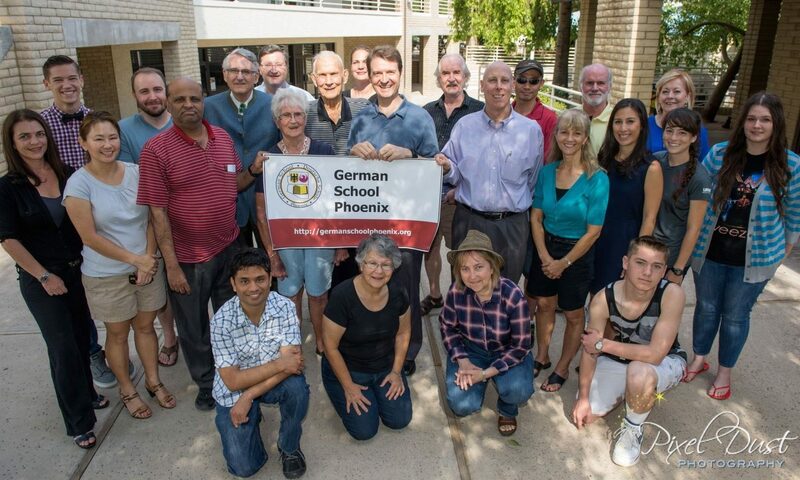 On October 17th, German School Phoenix students and staff were pleased to welcome back Dr. Helge Jordan for his second visit as guest speaker. 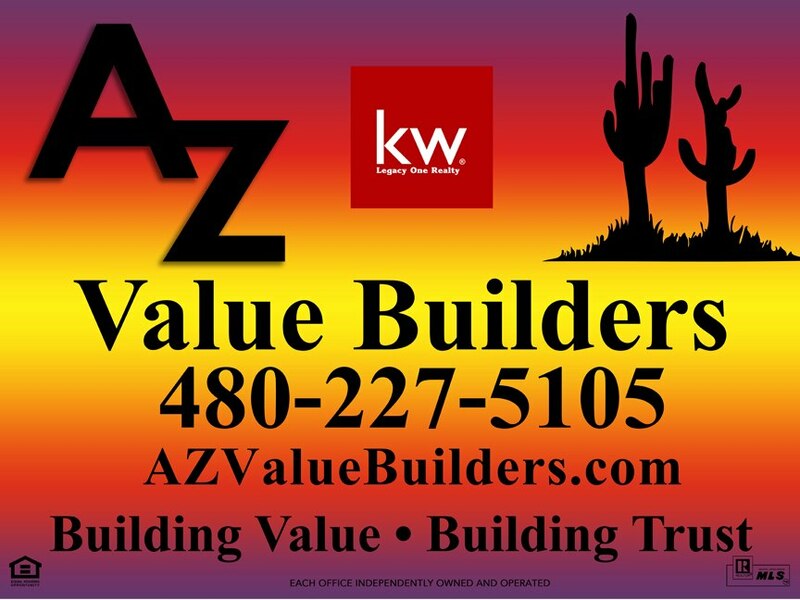 Dr. Jordan is the Honorary Consul for Germany in Arizona. 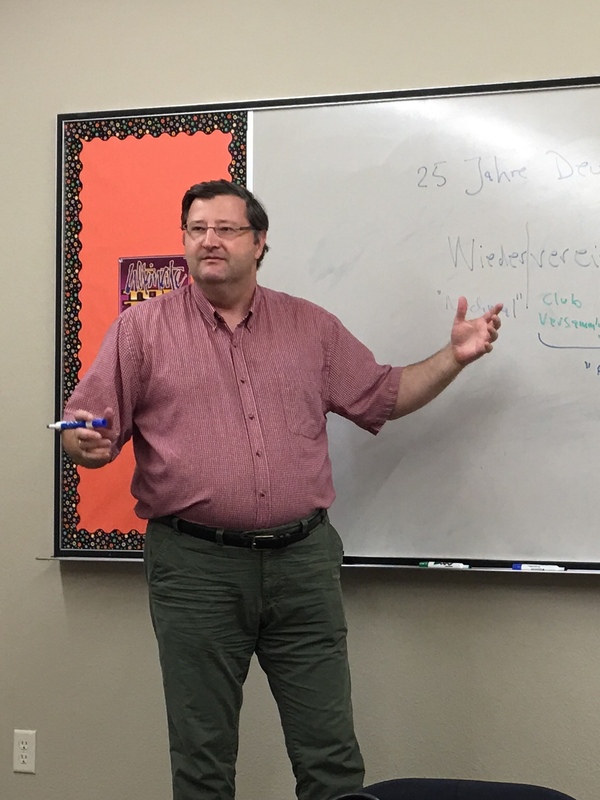 The topic of Dr. Jordan’s talk this year was the 25th anniversary of the reunification of Germany, which was celebrated on October 3rd. He also provided students with information on free electronic newsletters available through the German Embassy and Consulates, and the German Information Center USA. For more information, visit http://www.germany.info/Vertretung/usa/en/Newsletter.html. German School Phoenix was invited to participate in the Musical Instrument Museum’s “Experience the Alps” event held on October 4th. 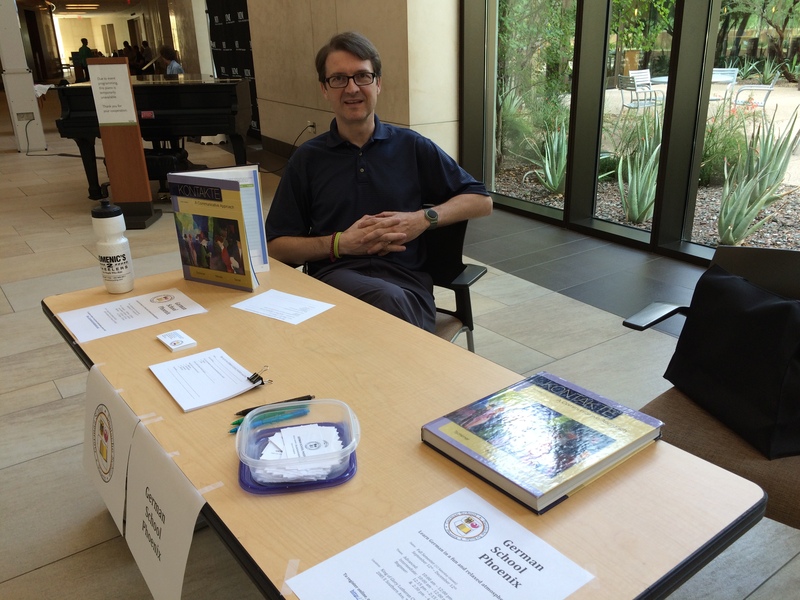 With a live band playing German music in the background, GSP Director Dierk Seeburg (shown in photo), along with other GSP volunteers, were able to talk with museum guests and answer their questions about the school and the classes offered. For more information about the Musical Instrument Museum, please visit http://mim.org.